Crispy Marshmallow Eggs are the perfect no bake fruity flavored Easter treat! 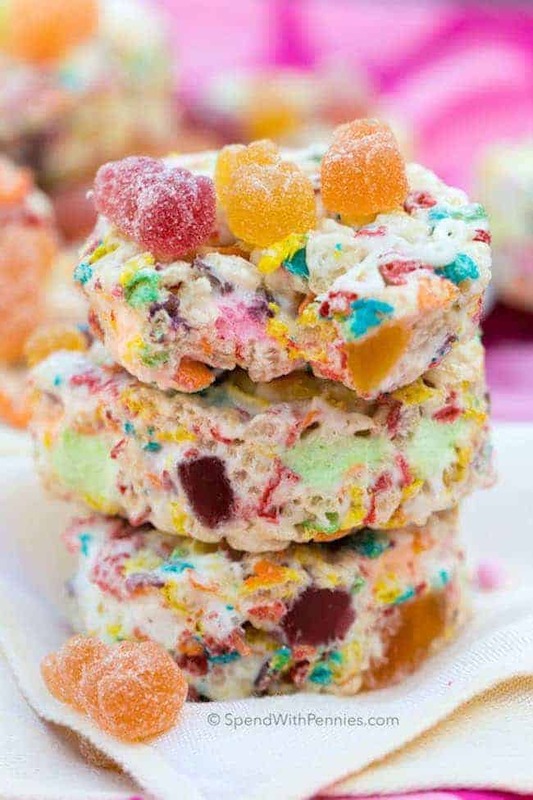 With a combination of crispy rice cereal, loads of gooey marshmallows and ultra soft fruity gummies, these are definitely going to be a spring favorite! I’m so excited to have partnered with SweeTARTS to bring you this great recipe! I love a good no bake treat, especially when it’s as easy as this one! 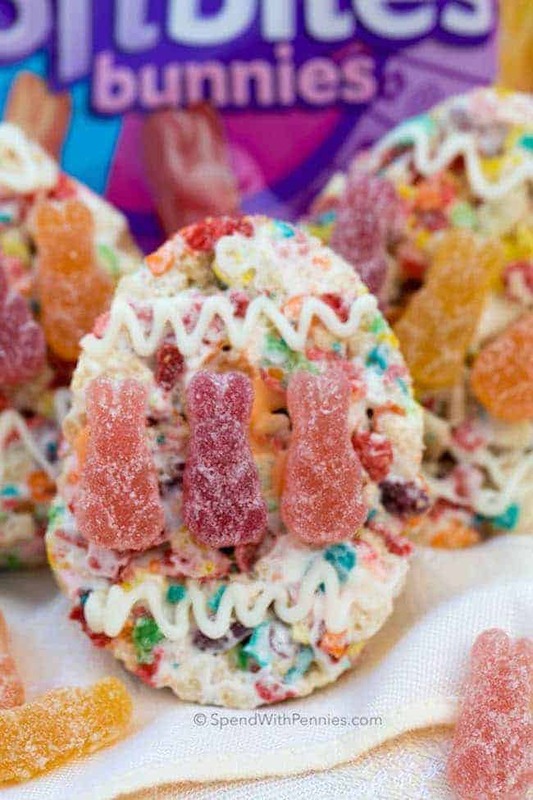 These fruity no bake Crispy Marshmallow Eggs are a springtime favorite with a yummy fruity flavor and extra marshmallows for the perfect texture! 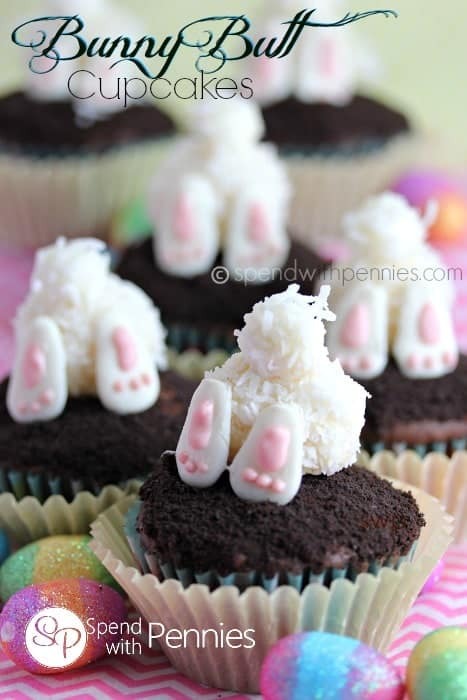 They’re deliciously easy, fun to make and are the perfect treat to bring along to all of your Easter festivities! This recipe starts out with marshmallows and butter which I melt in the microwave. 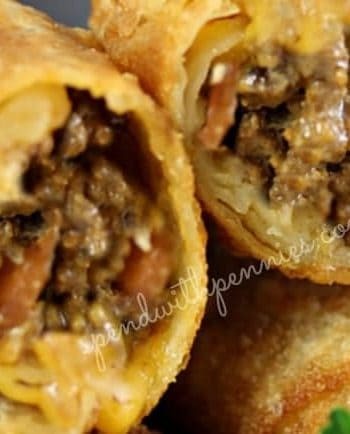 Of course you can do them on the stovetop but once you try it in the microwave and see how quick and easy they are that way, you’ll never use the stove again. 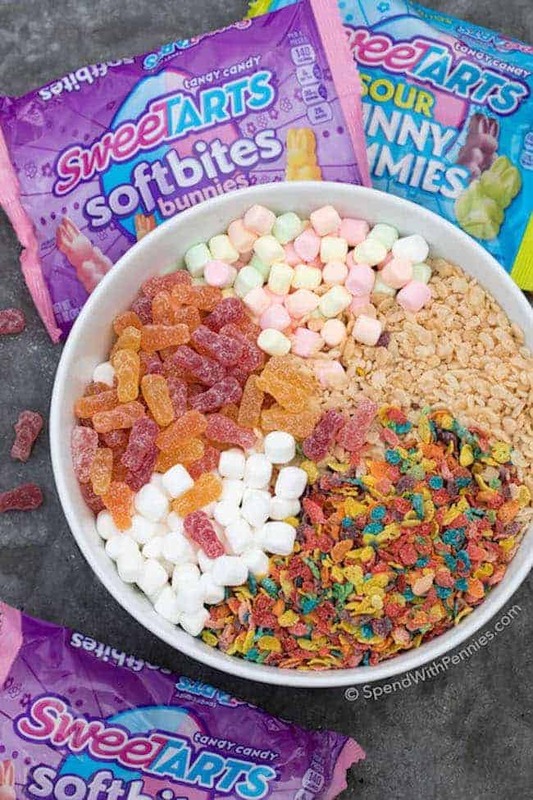 The melted ‘mallows are poured over a mixture of crispy rice cereal, fruity cereal, extra marshmallows and SweeTARTS Soft Bites Bunnies. 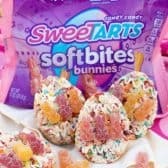 SweeTARTS Soft Bites Bunnies have yummy fruity flavors (with no artificial flavors or colors) adding a perfect flavor to these treats. 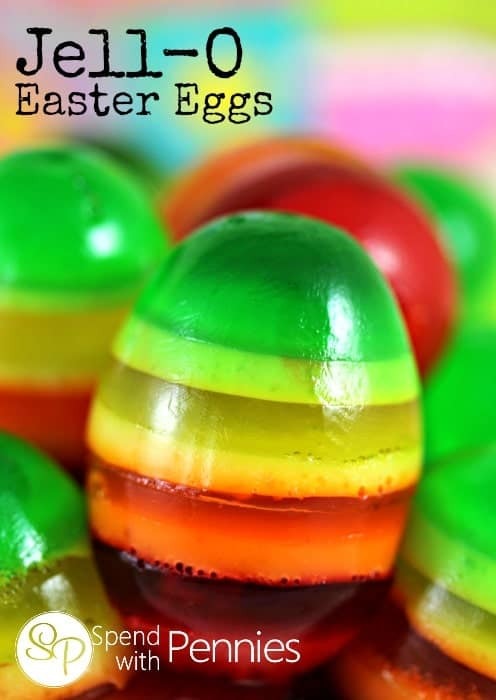 They’re literally the softest gummies I’ve ever eaten with a unique melt away smoothness… in fact, my sister says they taste just like Easter to her! We press these in a parchment covered pan (or on a greased sheet) until about 1″ thick. The size doesn’t really matter, a thicker base will give you thicker eggs. Once set, I use a cookie cutter to cut out the egg shape. If you haven’t got an egg shaped cookie cutter, you can use an oval shaped cutter and just pinch it a little bit at the top. (I actually pinched my oval cutter at the top to get the egg shape used in this recipe). 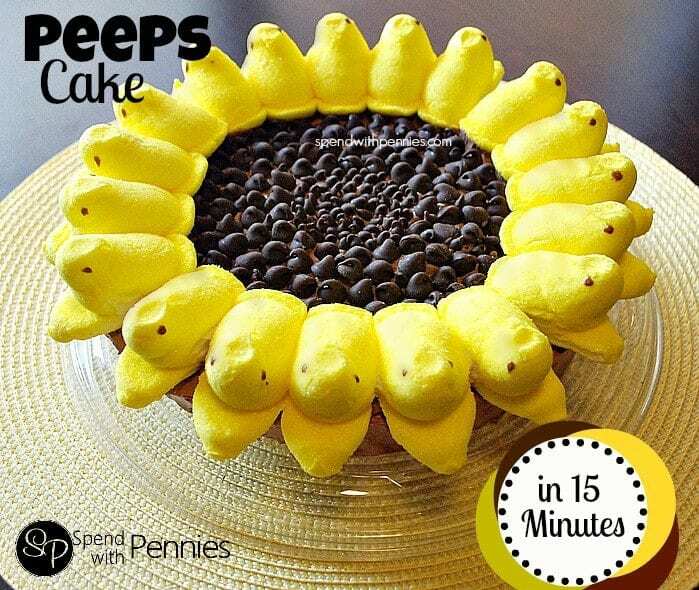 You can get creative with the shape using any cookie cutter, any size or even using plastic eggs as molds. 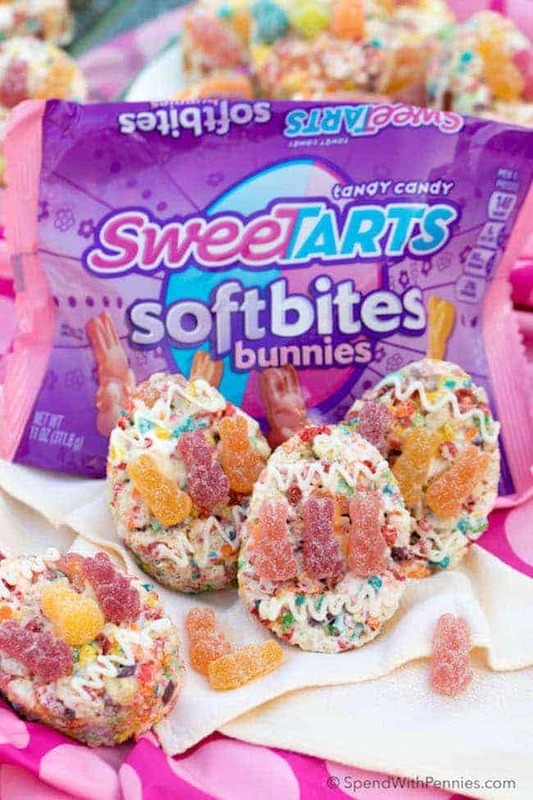 The SweeTARTS Soft Bites Bunnies and SweeTARTS Sour Bunny Gummies had such an adorable bunny shape that we used them to decorate the tops of the Crispy Marshmallow Eggs too. We simply melted some white candy melts, and used them to adhere. This was an easy and fun activity for the kids. One great thing about these treats is that they can be made days ahead of time. Simply prepare and decorate, cover and store at room temperature for up to 5 days. 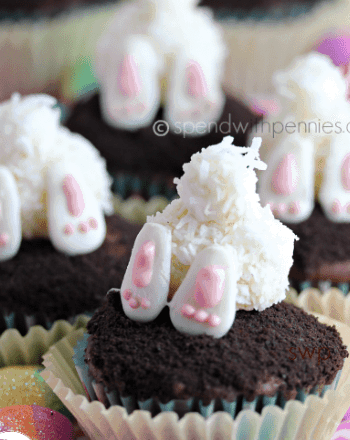 This is one easy Easter treat that absolutely everyone will love! 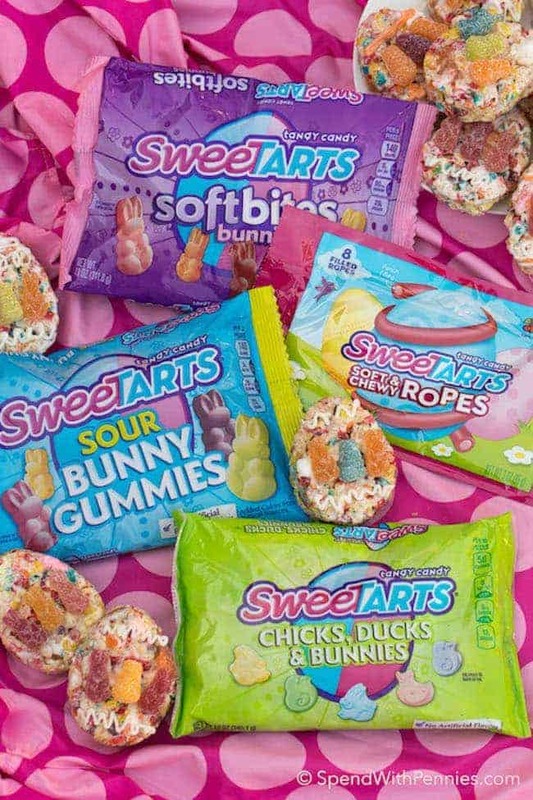 Be sure to follow SweeTARTS on Facebook, Instagram and Twitter and check out the SweeTARTS website for lots of goodies and adorable ideas! Combine marshmallows and butter in a large microwavable bowl. Cook for 60 seconds. Stir and continue cooking at 20 second increments until melted and smooth. Add all remaining ingredients and stir until well combined. Place on a large parchment covered pan and using buttered hands, press until about 1" thick. The actual size of the rectangle doesn't matter. Cool completely. Once cooled, cut out using an egg or oval cookie cutter. Melt candy melts according to package directions and place in a sandwich bag. Snip off 1 corner and adhere SweeTARTS Soft Bites Bunnies and SweeTARTS Sour Bunny Gummies.